Put your burger knowledge to the test with this quick quiz. 1. You're at the grocery store or butcher. What do you buy if you want a perfectly juicy burger? 2. What do true burger lovers put on their burgers? A. Nada, it's all about the blend. B. A touch of teriyaki sauce for umami. D. Doesn't matter/ anything you want! A. Press them down into the grill to help them cook faster. B. Flip them over more frequently. C. Let them take their time. D. Put more salt on each side, because why not? 5. You want the best burger ever. Which classification of meat do you buy? A. Gently massage the meat. B. Keep your patties cold. C. Preheat the grill for at least two hours. A. Within 1 week of being ground. B. The same day the meat is ground. C. Within 3 days of the "sell-by" date. D. Freshness is not a factor of burger taste. 9. Which of the following is the leanest beef or burger? D. A blend with short-rib. 10. Do you want a burger right now? A. Meh, I could go for one. B. Yes, all the burgers all the time. C. I'm literally eating one right now. Tally up your answers: 1.) B.; 2.) D. (but we'll accept A. if you insist) ; 3.) C.; 4.) D.; 5.) A.; 6.) B.; 7.) A.; 8.) B.; 9.) B.; 10.) D.
If you got 4 to 6 correct: Not bad! But if you want to brush up on your burger knowledge, here's a good place to start. 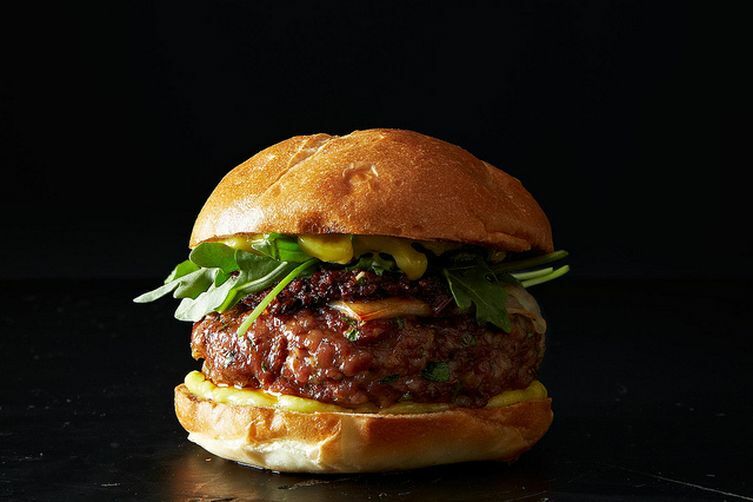 If you got 3 or fewer correct: Okay, so either you're vegan... or you still have the rest of summer to learn about burgers—and there's no time like the present. Head over to this post to learn how to become a burger expert in 10 steps. I don't understand the question or answer on #4 ("One of these blends is not like the other") . Could you clarify? And I got 8 of 10, so maybe there are others out there like me?????? So...here's the conundrum. I got 9 out of 10 (I missed the last question - I answered "B"). But I can't make a burger turn out on the grill to save my life. Hopefully this helps! I actually just made my first burger at home after writing the accompanying article (https://food52.com/blog/13781-10-steps-to-becoming-a-burger-expert) and it was delicious—the trick I think is to make sure not to overcook it and aside from that it was easy! #3 us definitely B. Multiple flipping leads to even distribution of cooking, and actually cooks it faster. See Harold McGee article (http://dinersjournal.blogs.nytimes.com/2008/08/08/harold-mcgee-on-flipping-steaks-resting-meat-and-char-from-electric-grills/?_r=0) on New York Times. Also Serious Eats and others have found similar results. It does lead to faster cooking, but Jamie, the expert quoted on the attached article, argues that no matter what, you should only flip once—but thank you for sharing this piece, it's an interesting article! I thought the point of the question was asking how to cook it faster. I now see that I was completely wrong. . . the goal should always be the tastiest option. Should 9 be B? Grain fed would be pretty fat and lazy. Grass fed should be lean. Yep, 9 is B! Grass fed beef is often gamier, leaner, and slightly healthier than grain-fed beef—but that isn't always necessarily a good thing since fat lends to flavor in burgers! So your first question doesn't correctly correspond to your own advice! It should be C! The wording of the question was a little tricky. I've reworded it though to clarify—thanks for catching that!